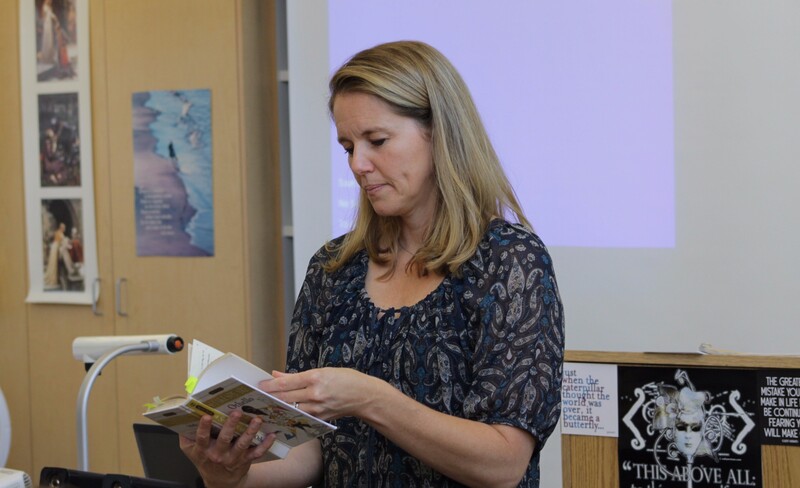 English teacher Shelley Grahl wants to spend her first year at Carmel High School trying to convey her love for literature to the young adults entering her classroom every day. Not only does she want students to learn, but she says she wants them to find a part of English that they enjoy. Grahl explains how she went back to school to get her master’s degree, met her husband and eventually moved to the Carmel Unified School District. She currently teaches three separate classes: English I, English Honors II and English Language Development. Coming from a variety of school atmospheres, the English teacher says her move to CUSD was a good change.